MTG Fiction: Poll - What Book(s) Should I Read After - Scars of Mirrodin: The Quest for Karn? Poll - What Book(s) Should I Read After - Scars of Mirrodin: The Quest for Karn? After completing Scars of Mirrodin: The Quest for Karn, I was planning on picking up where I left off with Ravnica: City of Guilds, followed by Guildpact then Dissension. But it appears as though I'm not just talking to myself and people are actually reading my posts. (Thanks for reading.) Since that's the case, I thought I'd leave it up to you guys. The problem is there are currently sixty-six novels out there, and I've read twenty-two of those, and some I don't want to buy until they become converted to the Kindle, so I'll simplify the choices. If you have a preference let me know by voting in the Poll (On the right in the sidebar). Poll closes on May 18th. Continue with the plan. Continue and complete Ravnica Block. 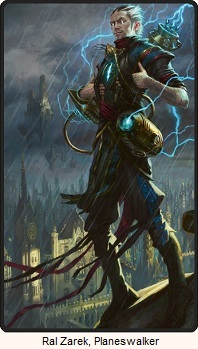 Who doesn't love Ravnica? (The cards, the block, the concept) Wizards will return there some day too. (As strongly hinted in Mark Rosewater's article Essay What) and there's no time like now to finish those reviews before that time comes. The first ever Magic book. I read it once, long ago. It's no longer canon but the authors of the Bantam publishing era had more freedom to write the story they wanted so it has a completely different take on visualizing the card game. 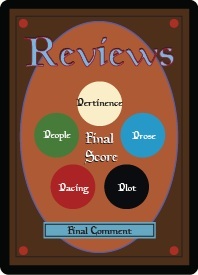 Choosing this will open up the possibility of reviewing the rest of the Bantam books in their publishing order. Jace the Mind Sculptor. Need I say more? Certainly the most evocative of the first wave of planeswalkers for me. It's also the first of the planeswalker novels. I have yet to read any of these and don't know what to expect from it considering it doesn't revolve around a set. I'll be finished with my first Block novel, time to sample the Planeswalker novels. Moons of Mirrodin and The Darksteel Eye have both been released on Kindle the same day as Scars of Mirrodin. It's an obvious sign. I've read these books before, but I also forget most of the details. It just makes sense to read the trilogy that set the stage for Scars of Mirrodin. I'm leaving out one obvious starting point. The Brothers' War. The introduction of the Phyrexians, the legendary Urza, and the launching point of the current Magic multiverse canon. Why isn't this an option? Because it's the best book. I know. I've read it. This is the book that I'm going to be basing my book reviews on. This is the 10. There are so many books out there for me to read yet. If the books average 22 chapters, at one chapter a day, that's still only 16 books a year and likely 5+ years to complete them all. I have options and no one should get the story of this book for the first time by way of my chapter reviews. I'm not saying I'll never do it. Chapter by chapter analysis of this book will come (and sooner rather than later), but really, do yourself a favor, and just buy this one for yourself. I think it's pretty clear by now that I'm not going to recommend buying Scars of Mirrodin: The Quest for Karn, so I hope that lends some kind of legitimacy when I say you won't be disappointed with The Brothers' War. Hey look at that! Some convenient links! P.S. Wizards. Hurry up and get these two Kindlized so I can buy them again.